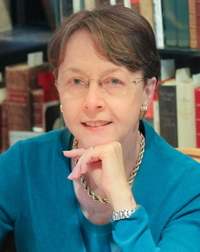 Linda Vigen Phillips is a retired teacher and the author of Crazy, a compelling novel in verse about mental illness. I dashed off a tweet to join thousands of others who felt moved to express immediate shock and sympathy, and then I sat and pondered a while. It seems to me, even without much digging, that there is a story of suicide and/or homicide related to depression in the news almost daily. I don’t go looking for them, but it’s true that I might be more sensitive to these types of headlines due to my own circumstances. My mother had bipolar disorder while I was growing up in the sixties, but I was well into adulthood before a doctor helped me determine this from her medical records. I was never given an official diagnosis or told why she rarely left the house, underwent numerous shock treatments, took heavy medication, and did not cope well with life’s ups and downs. In those days, perhaps the dark ages of mental health care, doctors said she was having “nervous breakdowns,” which they attempted to manage with a heavy-duty regimen of anti-psychotic drugs. The two emotions that dogged me the most as a young girl were fear (that whatever was happening to my mother would happen to me) and shame. It was the era before talk-therapy, and no one discussed my mother’s illness either inside or outside the family. 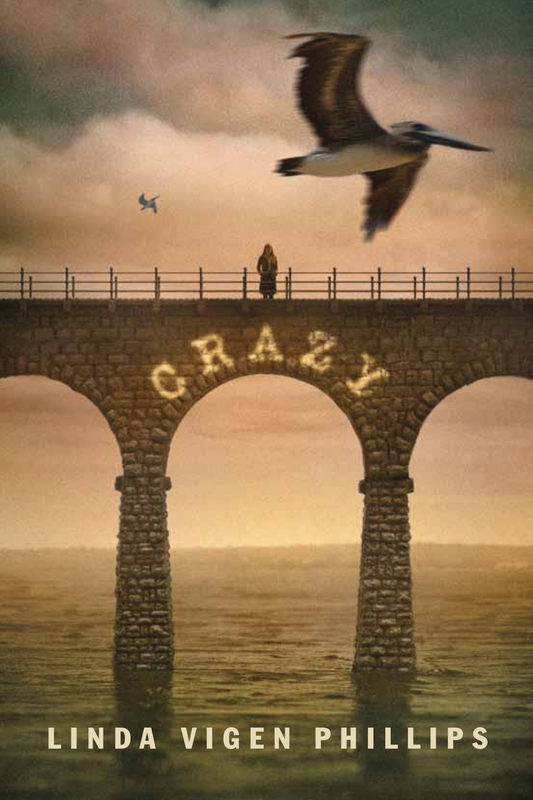 I turned to writing poetry as a way to process what I was experiencing and feeling, and most recently those poems have resulted in my debut book, Crazy, a YA novel in verse that explores a teenage girl’s coming to terms with her mother’s mental illness. Without giving away any spoilers I can tell you that, although thoughts of suicide lurk throughout the book, it is not the victor. As difficult as my early years were, I have many reasons to be thankful. My mother did not try to harm herself or anyone else, and thanks to advances in psychotropic medication, her last years were her best. My sister and I have dodged the genetic bullet, and both of us have lived productive lives without being encumbered by depression or mental illness. But news that the demon won out over Williams, just as it did with Philip Seymour Hoffman only six months prior, haunts me. As I shout out the “why’s” once again, I get no easy answers. I am left only with a chilling reminder of the extraordinary power of depression and addiction, even in this day of medical advances that can save a victim of Ebola. But therein also lies the hope. Mental illnesses are diseases that can be every bit as catastrophic as cancer or rampant viruses, and every tragedy that occurs because of a mental illness should spur on research, more and better hospital and treatment centers, and further eradication of the stigmas that still exist today. Mental health expert Dr. Jeff Gardere explains that depression and substance abuse among performers is more common than one may think, and Williams was no exception. “He was a lifelong addict. It’s a lifelong illness that you take a day at a time . . . this is a medical problem, and we have to stop seeing people who have drug addiction as evil, bad, weak people,” says Gardere. If you know someone suffering from any mental illness, reach out to them today and say something hopeful, or better yet, spread a little silliness in honor of Robin Williams. Click to visit Linda Vigen Phillips’s website or to learn more about her debut novel Crazy, or watch the book trailer below. Great blog post, Linda, and as usual, well-written and to the point. The things that stand out for me are the two emotions you faced as an adolescent: fear and shame. Although mental illness wasn’t a bullet I had to dodge either, I certainly can relate to those strong emotions. And you show them so well in your book! Thanks for the kind words, Carol. How I cherish the years we have worked along side each other, learning how to “show and not tell.” I hope the showing of such emotions will open up dialogue with others who have faced similar situations. And the feeling is mutual about meeting in Italy! I hope one of these days we can meet in the Carolinas or Newfoundland! Thanks for leaving a comment and for the FB tags! Linda, your book gives light and hope to those who suffer from depression and to their families. Thank you for sharing your deep and personal feelings. You are helping others by giving them an eloquent voice to express what, perhaps, they cannot.